I love a good piece of steak and there’s no better place for this than at Outback Steakhouse. The American steakhouse chain has been dishing up Aussie style barbie to steak lovers for the longest time I could remember during my college days in the States. 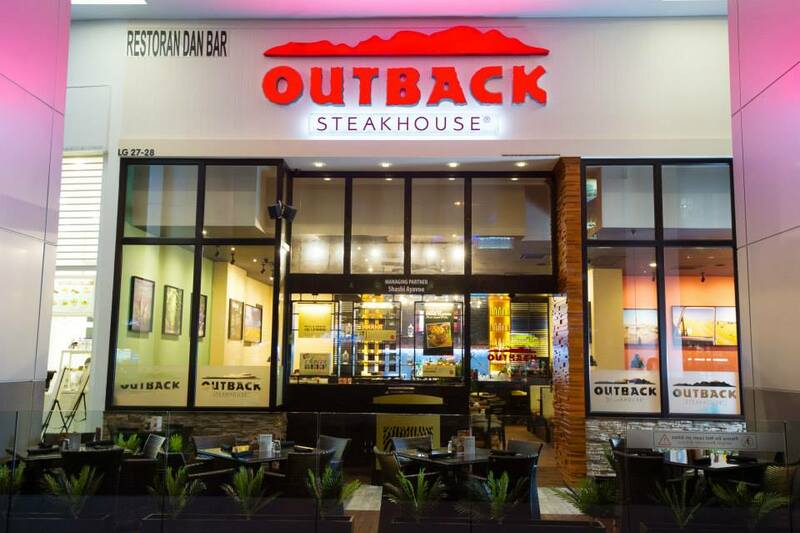 I am really glad that Outback Steakhouse landed in our Malaysian shores. 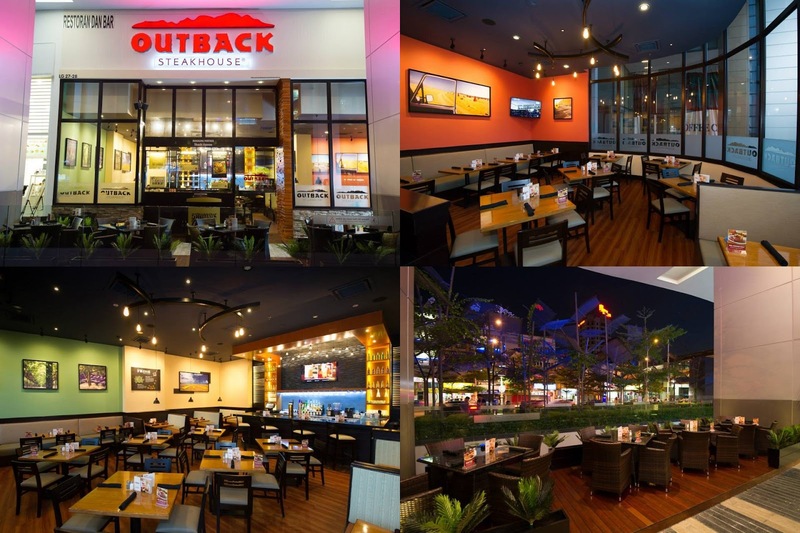 Now with a second Outback Steakhouse outlet opened recently at Nu Sentral, carnivores like me needed no extra push to head over for a taste of Down Under themed barbeque meat and seafood. This second outlet has a 150-seater capacity all set in a warm palette ambience completed with contemporary wood furnishing and a lovely bar. Diners can choose to enjoy their meal in the cool dining room or at the al fresco area. The whole place felt cozy and is perfect for a hearty meal of steak and more. Dressed in bright colored walls and also glass panels, it’s minimalist and contemporary. I have my own few lists of Outback signatures which are just my all-time-favorite so I was really looking forward to this. Outback Steakhouse has a long list of thirst-quenching beverages so make sure to order a few to go with the yummy barbeque to come. My Minted Lemonade Chili is so good and refreshing. It’s vibrant with good dose of citrus and mint. I didn't get much of the chili but that’s ok as I really still enjoy it a lot. We kicked off our meal with Outback’s signature Typhoon Bloom (RM19.95), hand-cut fresh onion strings which are lightly battered and seasoned before being deep fried till golden brown. The onions are superbly light and crisp and taste even better with the signature bloom sauce which has a good dose of spices in it. These are highly addictive! Next up, we had Alice Springs Chicken Quesadilla (RM27.95). Large flour tortilla has a filling of chicken, beef bacon, mushrooms and cheese and is grilled till everything melts together and the tortilla is warm and toasty. Served with a side of honey mustard sauce, the quesadilla is pretty much comfort food. I love the soft gooey filling and thought this really makes a lovely appetizer. Now I know that Outback is famous for their Caesar Salad but we had their Queensland Cobb Salad (RM27.95). Portion is huge and enough to share or have it as a main meal itself. I really enjoyed the abundance of crisp greens piled with shredded cheese, crispy beef bacon, boiled egg, fresh tomatoes, seasoned chicken salad and their house made Thousand Island dressing. It’s such a pretty platter of flavours and textures. For mains, we had burger, lamb chop, steak and beef rib. Going all the way, we took on the Typhoon Burger (RM26.95), A thick ground beef patty cooked to your liking before being topped with cheese, fried onion rings, lettuce, tomato and Typhoon Bloom sauce and sandwiched in a sesame seed bun. The burger comes with thick cut fries. It is simply a darn good burger. The patty is moist and well-seasoned. The other condiments worked its charm and that sauce is super yum. The golden crispy onion rings did wonders for the burger too. It’s a manly burger that at sight makes everyone want to sink their teeth into this awesome burger! Our steak was an 8 oz. Ribeye (RM56.95) cooked to medium rare and served with two sides of our choice. We had mashed potato and fresh seasonal vegetables. According to Outback, all their steaks are dry-aged for a minimum of 21 days to ensure that flavours are well enriched and tender. Our steak has a good charred edge and yet it remained beautifully tender and juicy inside. I always choose ribeye because I like the well-marbled bits of the cut that gave the steak better flavours. Our steak was cooked medium rare and was very flavourful. It is a darn good piece of beef if you asked me. If you prefer a lean cut, then go for their Victoria’s Fillet or Sirloin. Next up was Lamb Chops (RM49.95), four cutlets of well-trimmed chops nicely grilled. It was decently juicy but I would have love a thicker cut for the lamb for a good hearty bite. That said, the lamb chop was still good and flavourful. Diners get two side dishes of their choice and ours was mashed potato and fresh seasonal vegetables. Outback is quite famous for their BBQ Beef Ribs (RM59.95). Our order had four giant beef ribs gorgeously glazed with a shiny BBQ sauce and served with golden thick cut fries. The beef ribs are so tender and really yummy. A gentle cut with a fork is all it needs. The BBQ sauce is smoky and tasty and exactly what it should be for a delicious BBQ sauce. It’s also not overly sweet and has a good balance of tangy flavours. I have nothing but good ravings for the BBQ Beef Ribs. Since it’s a big platter of meat, you might want to share this unless you are a heavy meat –eater. The great news is that there is also a half portion order. We added on the No Rules Pasta (RM29.95) for some carb. It’s fettuccini noodles coated in a creamy Parmesan cheese sauce with seafood. This one is decent enough and makes good comfort food. Pasta is cooked al dente, sauce is creamy and seafood is cooked well. Don’t forget Outback’s outrageous desserts! We had Cinnamon Oblivion (RM17.95), a concoction of vanilla ice cream with warm cinnamon apples, crunchy croutons, pecans and caramel sauce. A wee bit too sweet for me and so I still prefer their famous Chocolate Thunder from Down Under as my all-time-favorite dessert! 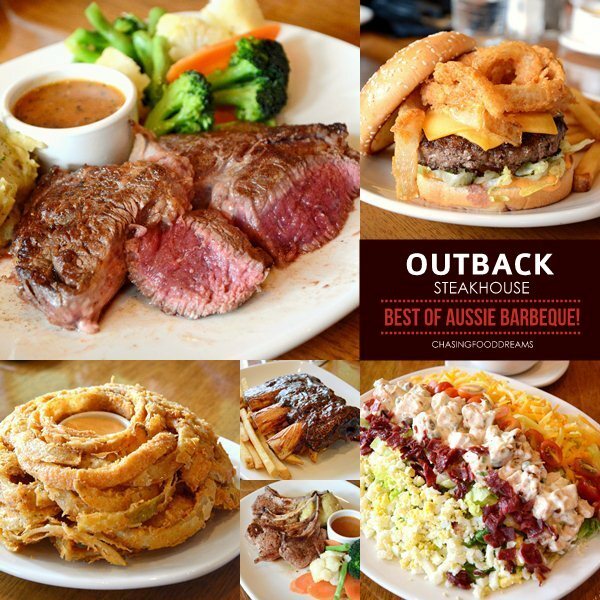 Expect nothing short but hearty grilled steaks, burgers, chicken and seafood, awesome salads, tantalizing appetizers and sinful desserts at Outback Steakhouse. Portions are really value-for-money as well. It’s a great place to dine with family and friends!